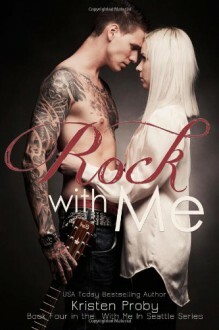 Front Man Leo Nash from the world-famous rock band, Nash, is the last person on earth Samantha Williams would trust. She's already learned about loving a celebrity the hard way and isn't signing up for another lesson. Every time Sam gives Leo attitude, he wants to knock that chip off her fragile little shoulder. What the hell did he ever do to her, anyway? He's not used to women treating him like he's poisonous, and he isn't about to let her run away every time he gets close. He's had enough of people running away to last him a lifetime...when this one runs, he gives chase. But, catching Sam isn't as hard as he thought. The sexual attraction between them is so thick, Sam can practically hold it in her hand. There's no way she can deny herself the promise of pleasure being with Leo would provide. But, pleasure always comes with pain and when secrets are revealed and trust is challenged, who will run and who will chase?